Last week I was fortunate enough to be invited to a dinner where the guest speaker was Ed Vaizey. Despite narrowly avoiding serious injury in a car accident earlier this week, Ed delivered some really interesting insights into the role of culture and creativity in the UK today. He also spoke most passionately about the critical importance of technology and digital access for 2012 and beyond. Equally interesting, however, were my neighbours at the dinner table. On one side, sat the MD of eHarmony one of the most popular and subscribed dating sites in 14 markets globally with 33 million members. On the other, the Marketing Director for Dyson, one of the most innovative UK brands selling machines in over 50 countries and employing over 3,000 people worldwide. What fascinated me most was the complete disparity between not only the products, but usage, attitude, audience and reason for purchase. eHarmony is about the most emotional subject of them all – love. It focuses on finding long term relationships for people who may otherwise not have met. Its point of difference comes from its optimised matching process, using eHarmony Labs, a relationship research facility. When new members look to join, eHarmony takes over 250 individual pieces of data from the customer before a profile can be created. The basis of this in-depth information gathering, is that compatibility in humans can be modelled, in much the same way as company profits and performance. eHarmony applies a scientific approach to what is effectively a hugely personal and emotional process. The technology used by eHarmony uses behavioural data for each customer and analyses a huge variety of other data points to drive compatability ratings. The statistics obviously work – apparently 542 eHarmony members in the US marry every day. On the other side, you have a product which represents the pinnacle of product design. 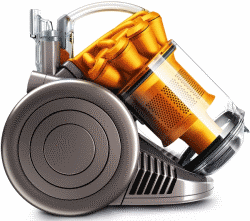 Its creator, Sir James Dyson, was vacuuming his house when he realised his top-of-the-line machine was losing suction and getting clogged. So, he set about using his industrial design background to fix the problem. He now has a reported net worth of over £1 billion, award winning products that are known for their design and efficiency, and has his own foundation to support design and engineering education. The usage of these two products couldn’t be further apart. From a personal perspective, I don’t like vacuuming and will go to any lengths to avoid it. It’s boring and a necessity and needs to be done on a regular basis. But I long for a Dyson. They look fantastic and they work brilliantly. A fantastic example of marrying design and technology to create a must-have product. This is why we have allowed technology to be a defining factor in our lives. Yes, there is a lot of choice and sometimes seemingly endless options and possibilities. And it can also often detract from peer to peer communication, face to face contact and create its own set of problems as we have seen with recent email and hacking scandals. But I doubt that one of the 542 couples who will meet today on eHarmony believes that any of that is important.